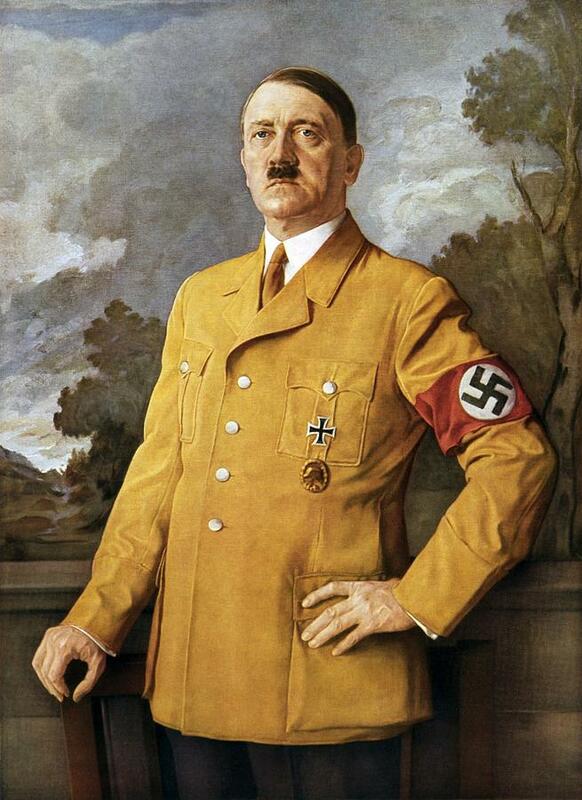 Above, an official portrait by Heinrich Knirr of “you know who” painted in 1937. What has become known as “Europe’s migrant crisis” has now become a regular feature of the TV news casts of late. There is of course a natural human tendency to focus on those things that are closest to one. Which is why of course the reports in the UK tend to focus on the problems at Calais. However the migrant challenge the UK’s politicians are faced with across the Strait of Dover (Désolé Derek mon ami, je veux dire la Pas de Calais!) pales into insignificance when compared to the challenge faced by German politicians. As every British Gazette reader knows these successive avalanches of fleeing humanity are not going to cease any time soon. Big and wealthy as Germany is, she has already reached the limit and yet the flood tide of desperation embodied in these migrants will keep on coming. It is of course not only Germany. France, Greece and Italy are severely challenged. The democratic, non extremist, moderate politicians of these countries are trying to cope as best they can but until they take robust action, this flood tide (of human misery) will do what flood tides do: sweep them away. So, what is the robust action these politicians should take? We hear you ask. They have to send a clear and unambiguous signal to these migrants AND THEIR OWN POPULATIONS that this situation is going to end. These migrants need to be relocated to “places of safety” – large camps. Most importantly, these camps HAVE to be outside Europe. Only then will the two groups of people affected (migrants and host European populations) understand that there is NO POINT in coming to Europe. FAILURE on the part of Europe’s democratic, non extremist, moderate politicians to act in this manner will however bring about one inevitable consequence: the election of politicians in these countries to whom the description, democratic, non extremist, moderate politician, cannot apply. Then Guardian readers really will have reason to expostulate!